Children usually learn to count forward before attempting backward counting. 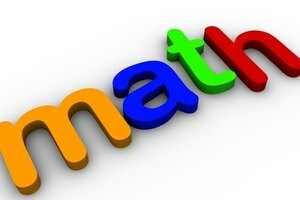 The early math skills children learn in kindergarten are necessary prerequisites for future grade levels. Counting is one of the most important skills for young children to master, providing the basis needed to learn basic facts later in school. 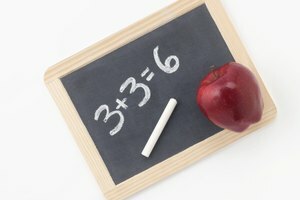 When children learn to count backward, they begin to explore the concept of subtraction. 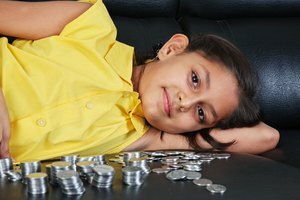 According to PBS Parents, counting backward is a developmental skill that children master between the ages of five and eight. Many finger plays and rhymes involve counting backward. "Five Little Monkeys Jumping on the Bed" is a popular rhyme which involves students holding up five fingers and putting one down each time one of the little monkeys falls off the bed. Once you have practiced the rhyme together, students can practice counting back from five by using manipulatives to represent the monkeys, taking one away each time as the story progresses. After completing the activity a few times, students will begin to understand that counting backward means the same as counting one fewer number each time. 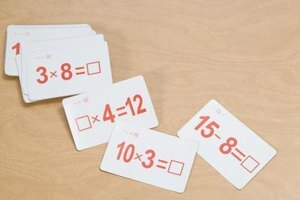 Create 10 large number cards out of card stock or laminated construction paper. Write numbers on the cards and ask the students to identify the numbers. Then pass out the number cards to some of the students. Have the students work together to line up in order, while the students without cards give them tips about where to stand as needed. Then have the students without cards count the numbers in order. Once they make sure all of the cards are in numerical order, have them start with 10 and count backward. Complete the activity several times so that everyone has a chance to hold a number card and find a spot in numerical order. Give each student 10 small snack items, such as cereal pieces. Students should organize their snack pieces on a ten frame -- a counting board with 10 boxes -- to represent the number 10. Then ask students to eat one of the pieces, counting back from 10 to nine. Continue to eat the snack until the students reach zero, counting one fewer each time. When the ten frame is empty, students can practice by pointing to the squares while reciting the numbers backward from 10. Create a number line on the blacktop or sidewalk using chalk. Have students count the numbers with you forward and backward. Then have the students start at the largest number and hop to the next while counting back. This activity can be differentiated by using numbers to five, ten or twenty depending on the needs of your students. Consider starting with a smaller number and progressing to larger numbers as students progress. Using movement and play encourages students to learn and have fun at the same time. Wager, Billie. "How to Teach Kindergarten Children to Count Backwards." Synonym, https://classroom.synonym.com/teach-kindergarten-children-count-backwards-33568.html. 26 September 2017.